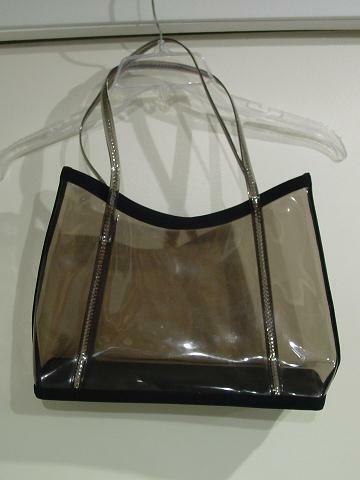 This vintage smoky-tinted clear plastic tote has an outer bottom side trim and top curved trim in a very nice black fabric. The interior bottom lining is a nice textured plastic. 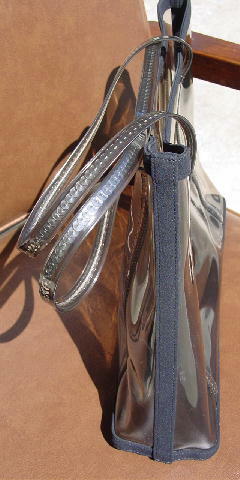 There are two tinted matching plastic handles which start at the base in two places on the front and back, and have a row of silver sequins facing outward covering the entire length of each 18" long handle. 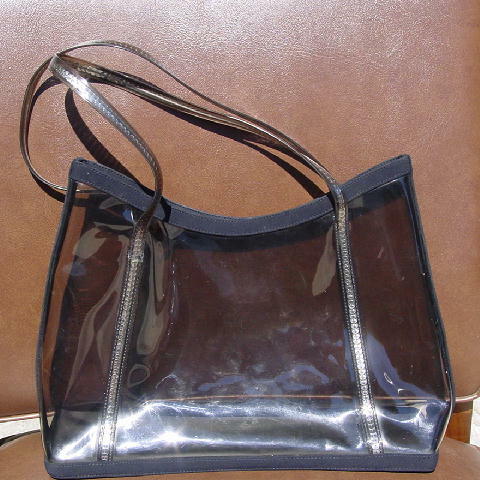 Because of its age, the plastic is not crystal clear. A British model got it from her mother.